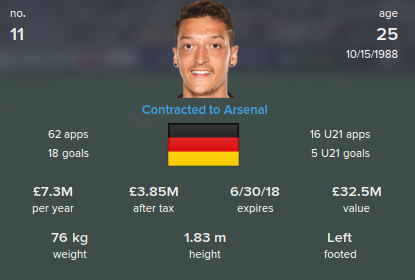 This is the FM 2015 Facepack I have installed in my game, a long-time favourite for me in the previous versions of the game as well: Sortitoutsi’s Cut Out Player Faces Megapack. It is, as far as I know, the biggest FM 2015 Facepack and the most complete. It features over 150,000 player and staff faces, all in the default cut-out style. Version 7 of the megapack has been updated for FM 2015, but there will be constant updates popping up, as always. You can download the Cut Out Player Faces Megapack from Sortitoutsi HERE. Also, if you need help with installing it you should also ask on the dedicated forum at Sortitoutsi. Extract the zip file that you have downloaded to the following folder: My Documents > Sports Interactive > Football Manager 2015 > graphics”. (If you have set a custom data folder in your game you should change to the respective path). If the “graphics” folder doesn’t exist you will have to create it yourself. Start Football Manager 2015 and go to “Preferences”, then “More interface settings”, then “Clear cache”. Then click “Reload skin” and the faces should appear in your game.